Meguiar's first sponsored me back in 2002 when I spent all my time an money making my Subaru WRX look the best it could. Ever since then I've used nothing but Meguiar's products on all my vehicles. Their products offer the best protection and bring out the brightest shine on even the most neglected finish I have ever seen. That is why I only use Meguiar's on my vehicles and on yours as well. They are simply the best. UV rays, dirt, grime, and salt can wreak havoc on the exterior paint of any vehicle. A simple wash and wax will do wonders to protect your car, remove imperfections and keep it looking new as the first day you got it. 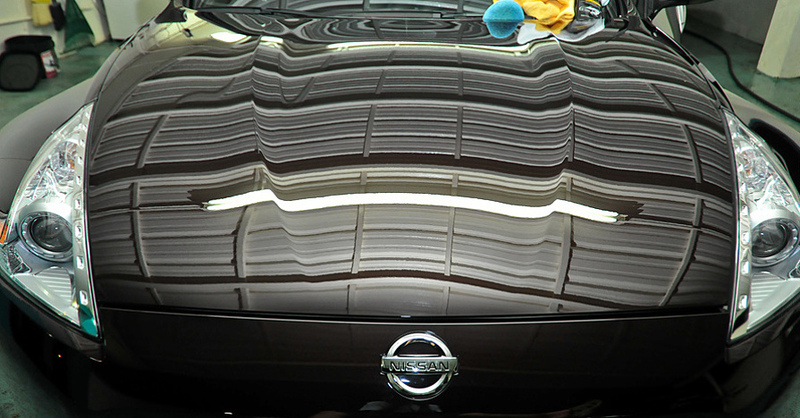 Modern clear coats help protect the thin layer of paint on today's vehicles. Clear coat is thinner then a piece of paper and although it protects the paint, it is prone to scratches and swirls from today's rough environmental factors. I have developed a simple process over the years for keeping your vehicle looking show room ready every day. 2. Use detailing clay to remove above surface bonded contaminants and restore smoothness to the paint. Claying the paint with detailing clay also enables wax or paint sealant to bond better to the paint making it last longer and protect longer. This is key because gloss comes from smoothness and restored gloss is a powerful visible before-and-after result that you will notice. 3. Use a quality one-step wax to clean, polish and protect the paint. A quality wax will remove surface oxidation, staining and minor surface imperfections. A good wax will even remove reduce minor or shallow swirls and scratches. A quality wax or paint sealant will restore clarity to clear coats and increase shine.